Lavender: am I the only one totally in love with this color? Break it to me softly, because I have a personal hankering for everything in this hue lately! This tunic is one of my favorite pieces, and I paired it with rainbow colors in a comfy outfit for the drive home from Palm Beach. (This included more stops for shopping research - in these pics I'm at Downtown at the Gardens.) 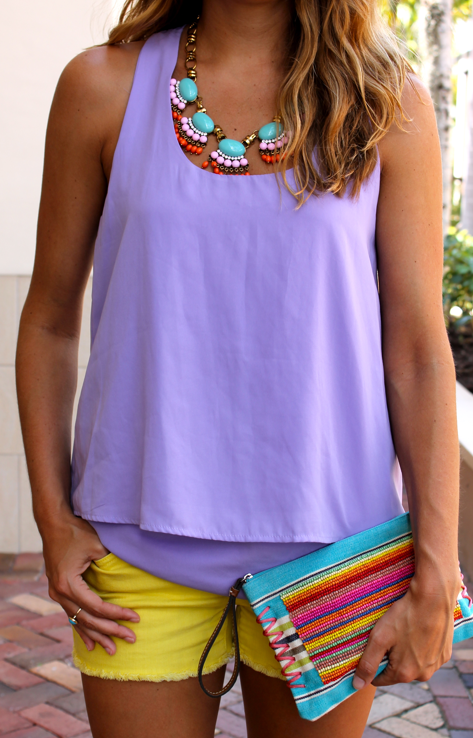 Would you wear lavender? What color(s) would you pair it with?